AC Cobra driving experience from our Oxfordshire branch. 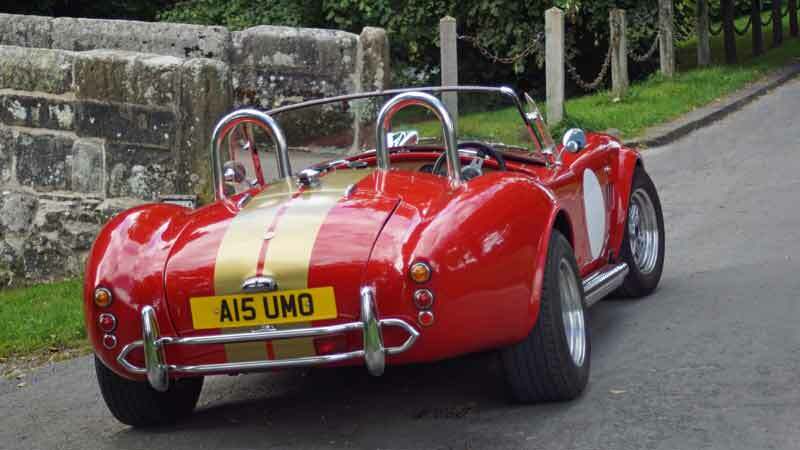 Get an all-day experience in the beautiful Cotswolds..
An AC Cobra hire from Oxford gives you the chance to drive your dream car, and this fabulous bright red Cobra, with it’s gleaming chrome work and gold stripes, stands out from the crowd. The snarl of the Cobra’s V6 engine, together with the guttural rasp from the stainless steel side exhausts, make this a stirring AC Cobra driving experience. What better place to enjoy the AC Cobra driving experience than the rolling hills of the Cotswolds. You’ll attract much attention on your travels. And,unlike an AC Cobra driving experience on the track, where you typically get only around 15 minutes behind the wheel, you get the Cobra for a whole day or more. A classic car hire gift voucher for the Cobra will delight the recipient. Or hire the Cobra for your wedding or prom. We don’t provide chauffeurs, but the groom won’t want to miss the experience of self-drive wedding car hire in this classic sports car. Finished in bright red with a camel leather interior, this is a head turning classic sports car. 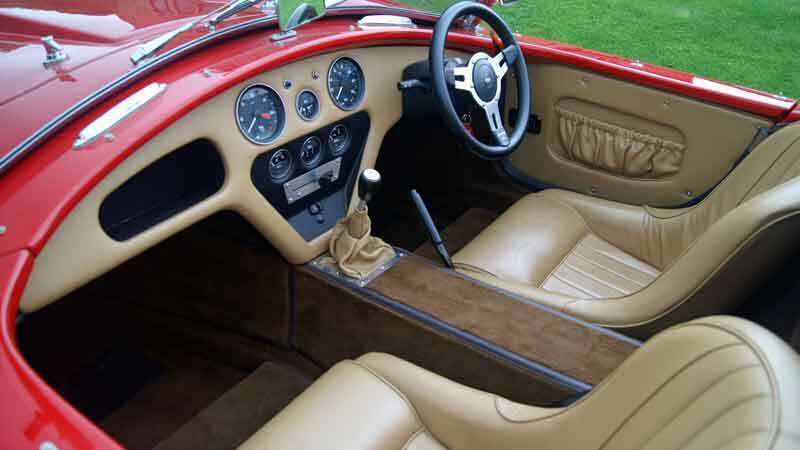 Whilst it comes with a hood and side screens in case of wet weather, it is generally driven with the top down on your AC Cobra driving experience. With its stainless steel side exhausts, full chromework, and Halibrand style wheels, the AC Cobra for hire in Oxfordshire is a breath-taking automobile. It has a 2.9 litre Ford injection engine, and 3 into 1 exhausts. Like our blue Cobra, the car we have for hire is a replica. Originals are very rare, sought after and priced accordingly. You are unlikely to get to drive a real one unless you win the lottery! 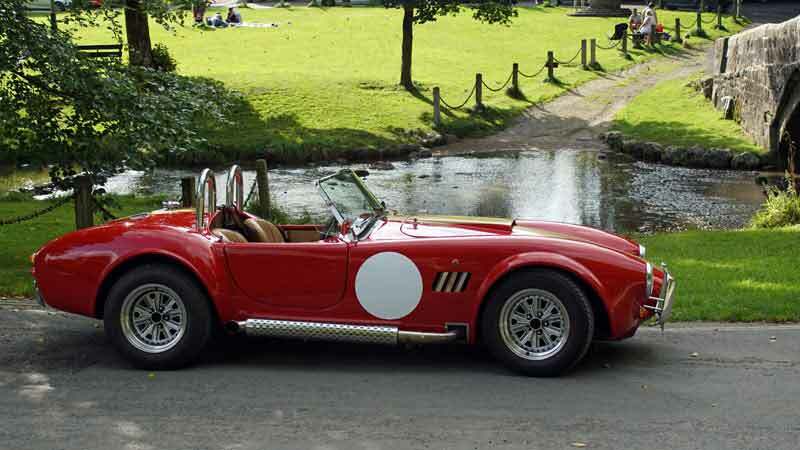 A Cobra hire from Classic Car Hire North is an AC Cobra driving experience that will leave you beaming! 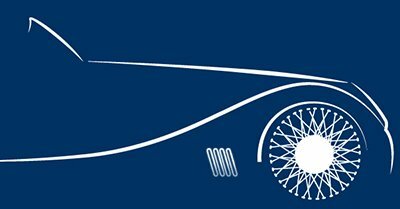 Please note that this AC Cobra can be booked now for dates after 1st April 2019. 2.9 litre Ford V6 injection engine, and 3 into 1 exhausts. Our Oxford AC Cobra hire car is available for collection near Witney. Our location is on north and west London’s doorstep, with easy access to and from the Midlands and the national motorway network. 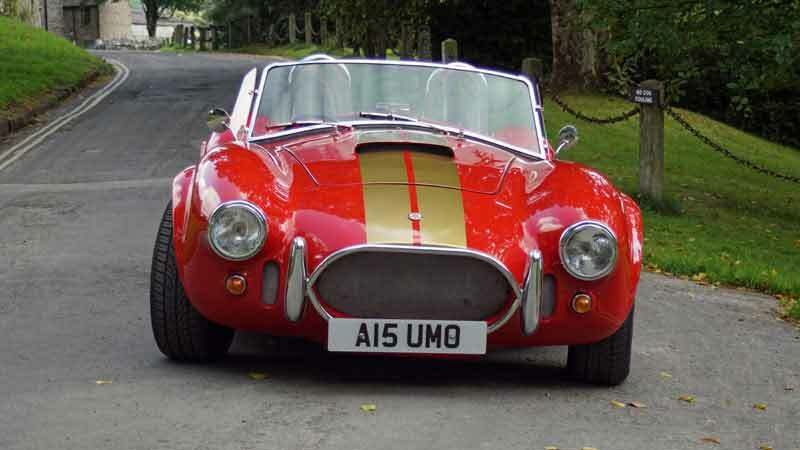 We are in an ideal location for AC Cobra Hire Milton Keynes and Northampton. For AC Cobra hire Swindon, Cheltenham, and Gloucester, you don’t have too far to travel either. 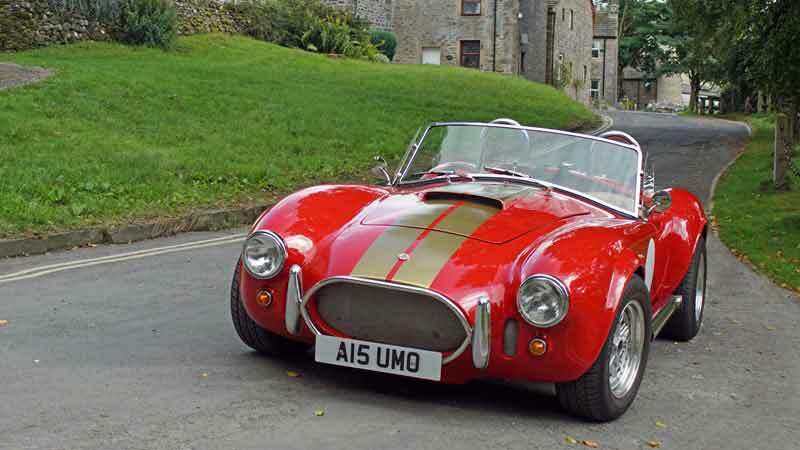 Reading and Slough AC Cobra hire is within about an hour’s drive of our Oxford base. Once you’ve collected it, you can drive our AC Cobra hire car anywhere in the UK subject to our terms and conditions. The All Day option is ideal for those who want a tour of the Dales, Moors or even the Lake District. With a generous mileage limit of 200 miles you can even get to and from the East coast. Most people do around 170 miles when they hire a car for 1 day, and don’t incur excess mileage charges.